Proud to welcome you,as one of the most friendly Ryokan in Hakone, Suirinso. without any artifact,100%pure guaranteed.2public Onsen 24hrs open. 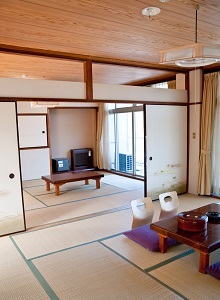 Actually our building is not really new.However,traditional Japanese style room will serve you peaceful Hakone stay. 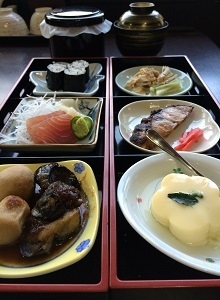 We are able to serve simple Japanese dinner/breakfast,also we know good places to eat just ten minutes walk from our place. We don't want anyone to get lost on the way to our place.Our place is easy to be found,if we take a right way.We'll show it. Though we are far from elegant,there are something we can promise to you. If you are searching for elegant,new,beautiful Japanese Ryokan, we have to say that our place is not the right place to stay. Our place is old and small,able to be found everywhere around Hakone. Room facilities are like 30yrs ago in Japan,probably at some points our cleaning might be not really perfect. In addition,the meal we serve is not our home-made, it's deliverd from suppliers, means, sometimes it's not hot enough when you eat them in the restaurant. We don't hire many staffs, means,most of the service will be done by Self-service. However, there are something we can promise,at the same time,can be proud of. 1.Our Hakone Onsen is 100% pure.No artifact added.Onsen-lovers from all over the world enjoying our Onsen,we are very proud to see them happy in our place. 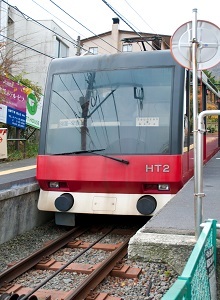 2.It takes only 1minute walk from Naka-Gora Cable car station to our place. Means,we can serve you perfect base camp for your Hakone-All-around trip. 3.We never bother you while you're enjoying traditional Japanese Style Hakone stay. As you know, many of Hakone Ryokan has dozen of staffs who treat you during your stay, our place is not a place like that. Because most of the service will be done by self-service,you can feel perfectly at home when you are in our place. Please take us as your tiny second house in Japan,Hakone. Please take us as like your old but truly lovely sweet home in your long-missed hometown. Our English is not perfect, but please notice, we are 200% willing to help you and welcome you.